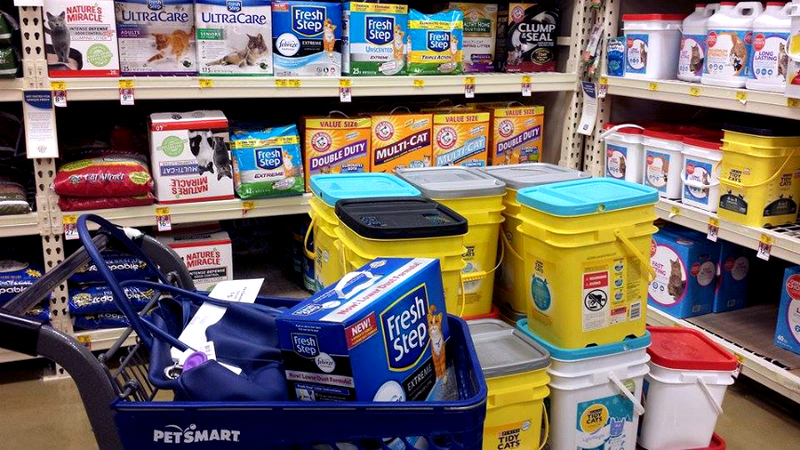 This post is sponsored by Fresh Step® and the BlogPaws® Influencer Network. I am being compensated for helping spread the word about Fresh Step® with Febreze® but I only share information I feel is relevant to my readers. Fresh Step is not responsible for the content of this article. All photos contained below are copyright Momma Told Me Blog 2016. Momma Told Me: It's time to graduate to the big leagues. 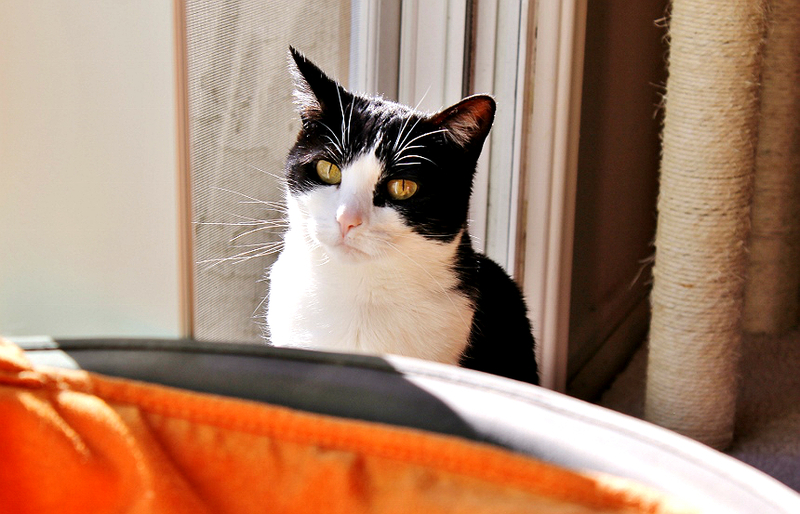 There comes a time in every cat's life when you need to sit down and have 'the talk.' If you have human kids the potty training discussion flows from training pants and potties to 'big boy undies.' Your kids will eventually tell you when they feel comfortable enough with their training to progress to more advanced powder room, erm box, skills. The problem with feline children is that we, as their human parents, become complacent. 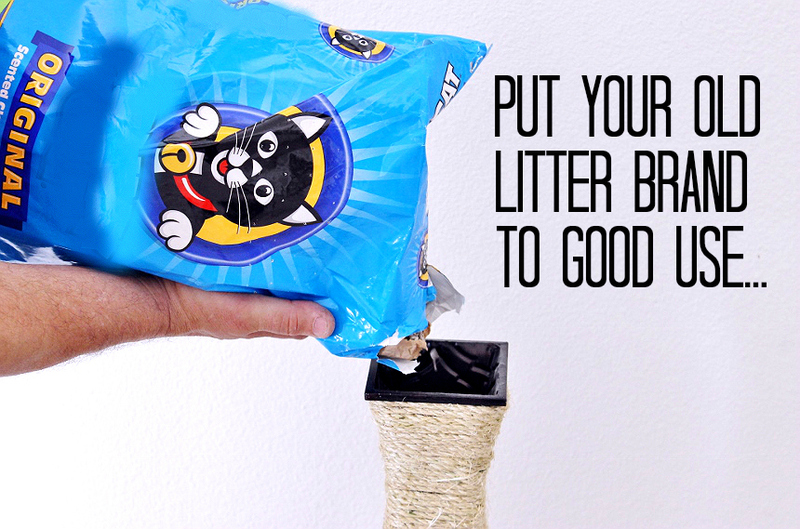 We start out with fancy litter and grow a little lazier over time. I doubt you use the cheapest toilet paper, so why should your cat suffer the indignities of inferior litter? Of course your cat doesn't pay the bills. Truffles earns a fair income for someone 13" tall with a speech impediment, but at the end of the day I'm the one pulling out the plastic to pay for that litter box spread. And I've made her ensure some awful litters in the name of financing or human entitlement. Yet it always seems to be HER fault when the commode requires a 'second flushing' or a little bit of 'toilet paper' gets tracked out of the restroom. So, when Truffles suggested I look into new Fresh Step with the POWER of Febreze I thought she was getting all high and mighty with her bathroom decor. A Febreze infused commode? Wasn't that the lap of luxury? But it turns out I was actually able to pick up this new Fresh Step variety on my regular stop at PetSmart, and the POWER of Febreze Fresh Step varieties came in several litter formulations such as Extreme Clumping, Extreme Lightweight, and Multiple Cat. I was a bit resistant to pick up some new treats, on the back of the swanky new litter, but I caved to the images of Puss In Boots eyes and my better conscience and walked out with a cart of goodies for both the kids. Of course, as soon as I got home Truffles was eagerly waiting to inspect the new Fresh Step with the POWER of Febreze litter I'd selected, and demanded a fresh box. Which brings us to the dilemma of what I was to do with all that OLD unused litter. Truffles now had the odor busting POWER of Febreze on her side with a fancy pants low dust formula litter, but I was left with about 40lbs of sub-par litter I was now NEVER going to go back to. Surely it had to have SOME use; storm drain sandbags, kitty litter paperweights, abstract sand art. None of these ideas were good enough to make immediate use of all that litter. Until Nora had a genius idea. Why not make the cat, who's always scratching on things, a piece of furniture exclusively designed for her to tear it up? So we hit the local flea market, Nora, Jay, and I, and scoured for the most inexpensive, potentially hideous, second hand vase we could find. It had to be tall, with ample surface area, and tapered to discourage burrowing and other 'cat behaviors.' 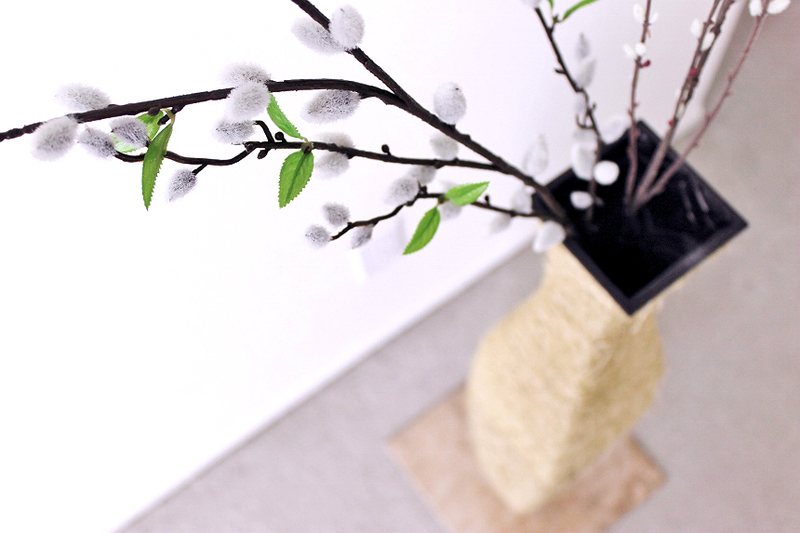 At last we came across a metallic painted steel vase that was lightweight and several feet tall. 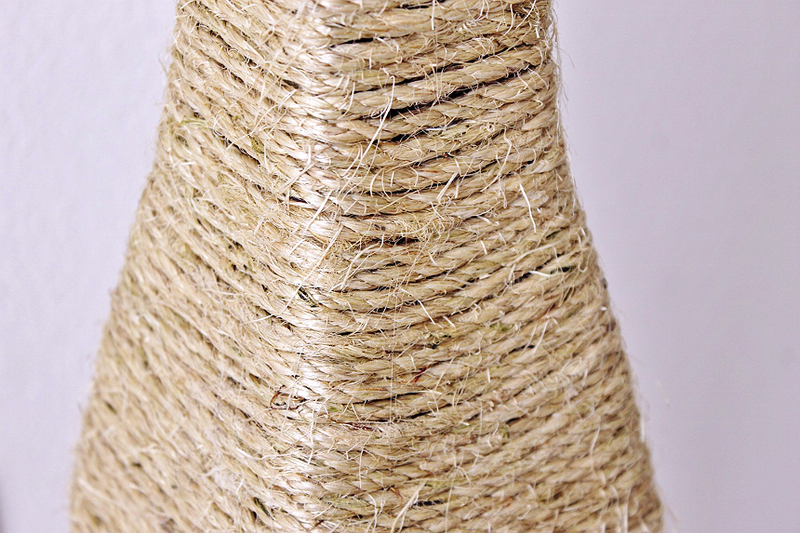 For under $20 we assembled (2) 100' Sisal Rope rolls, a decorative tile from the D.I.Y store, and a few hot glue sticks. Tacking the rope to the vase at the very bottom, middle, and top with super glue we wrapped the vase as tight as we could, just 1 foot short of our 200' length. We then used some heavy duty Apoxy to secure and set the vase to the tile- the tile being necessary to help stabilize the base, in addition to filled weight, and prevent it from tipping in use. Next we filled the vase with 25lb of that 'old' kitty little and added a few festive fake branches to encourage Truffles' mischievous instincts. 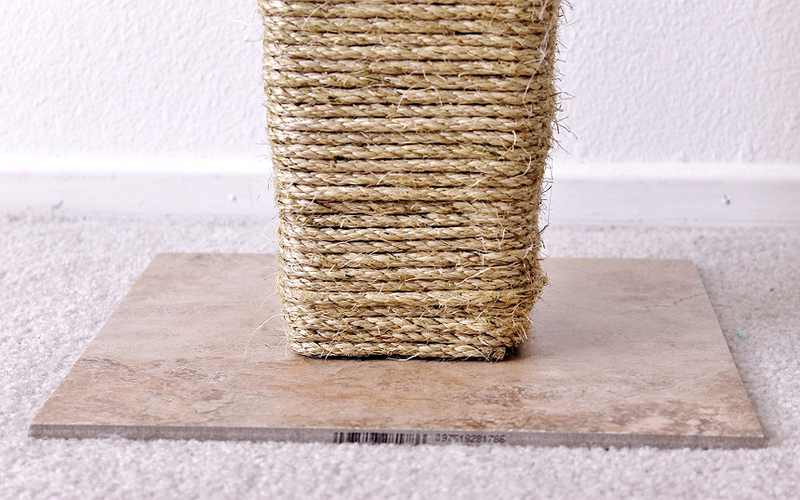 A little dash of fresh catnip inside and out, and voila, instant home decor and stylish cat furniture. I couldn't be happier how this project turned out for just about $30, and the piece itself is a wonderful addition to our home. We set it up by the Truffles' normal destruction hangout for the first few days for her to get the picture that it was 'scratch approved,' then moved it to a less cat central part of the home where it is otherwise completely camouflaged as a piece of human furniture. Best of all, if a section of rope begins to tear off or look particularly ratty it's an easy repair for just a few feet of rope, with 100' running around $8 normally. 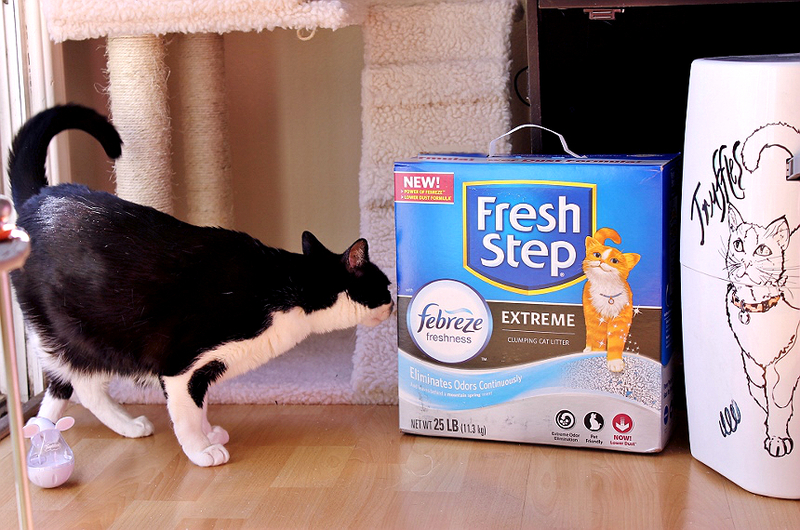 Of course, if your cat isn't as picky about their personal space, and lavatory, as you are- you can always introduce Fresh Step with the POWER of Febreze into your home with gradual 50/50 litter changes. 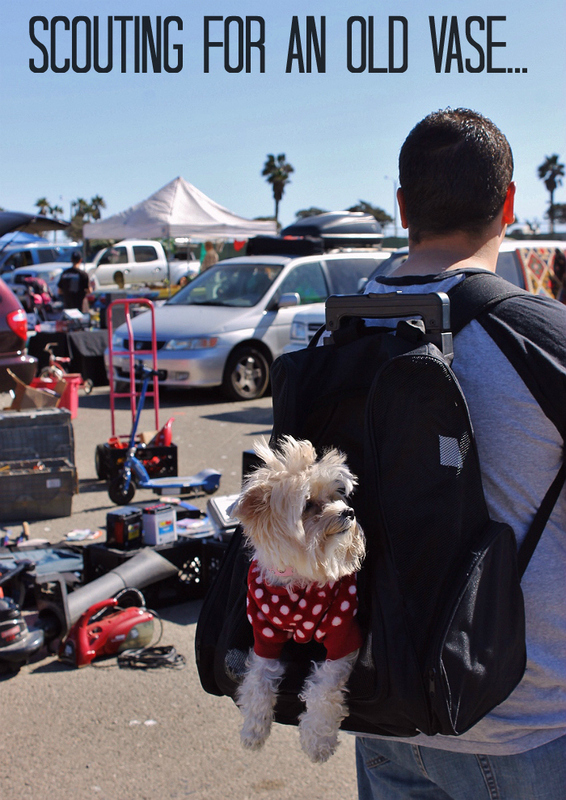 You'll likely notice a decrease in litter dust almost instantly (#win) and they'll be less discerning. 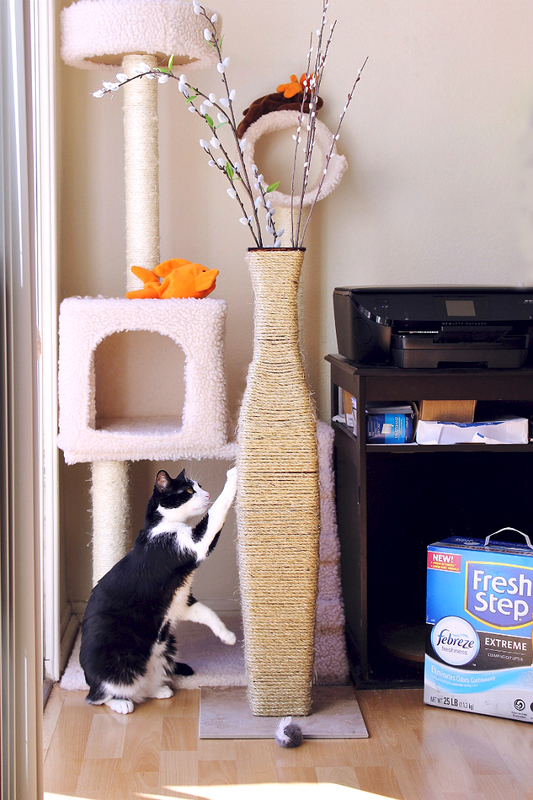 I'm lucky enough to have a refined feline for a daughter and we're both enjoying the new powerful odor control thanks to Fresh Step with the POWER of Febreze at PetSmart. 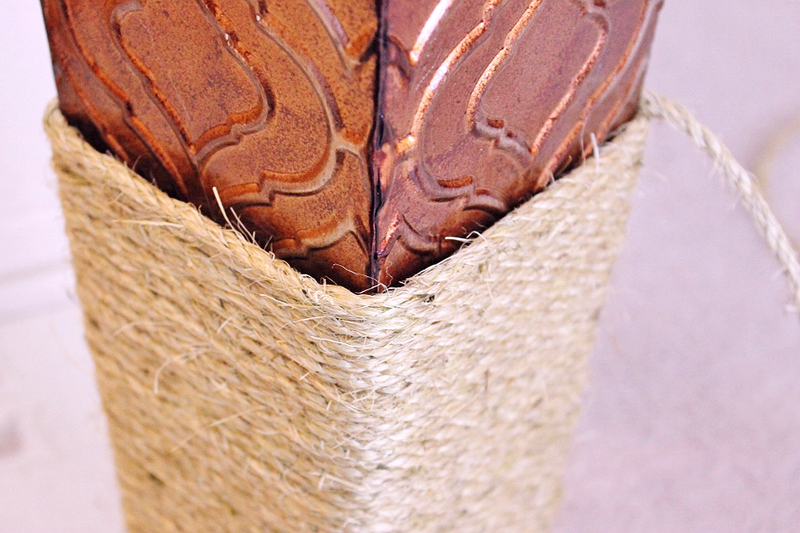 The scratching vase is pretty darn snazzy too. Let's face it, sometimes being a cat parent gets us a bad wrap- how do you make your cat's presence a little more subtle? Do you keep your litter box in a special cabinet? 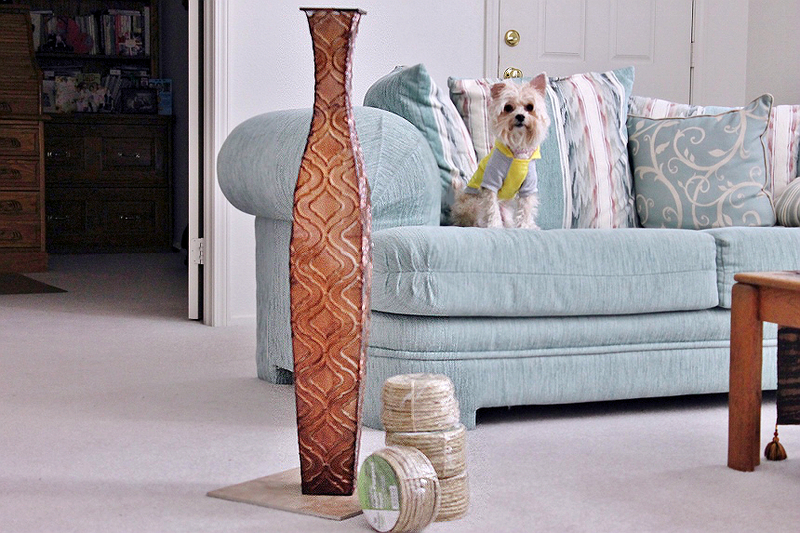 Do you buy modern pet furniture? What Daughter Says: Don't settle for litter trained, conquer the litter box with the odor busting POWER lower dust Fresh Step with the POWER of Febreze. This post is sponsored by Fresh Step® and the BlogPaws® Influencer Network. I am being compensated for helping spread the word about Fresh Step® with Febreze® but I only share information I feel is relevant to my readers. Fresh Step is not responsible for the content of this article. Wow you did an amazing job. I agree, our cats deserve the very best! Having a fresh litter box is so very important and I love the Cat scratcher. I never thought about making my own before and it would be so easy to do. I have a friend who has a kitty who would love this. Unique idea! I was so curious when I saw this PIN how you made it stable. I LOVE That you used the old litter and a tile to make it safe for Truffles. 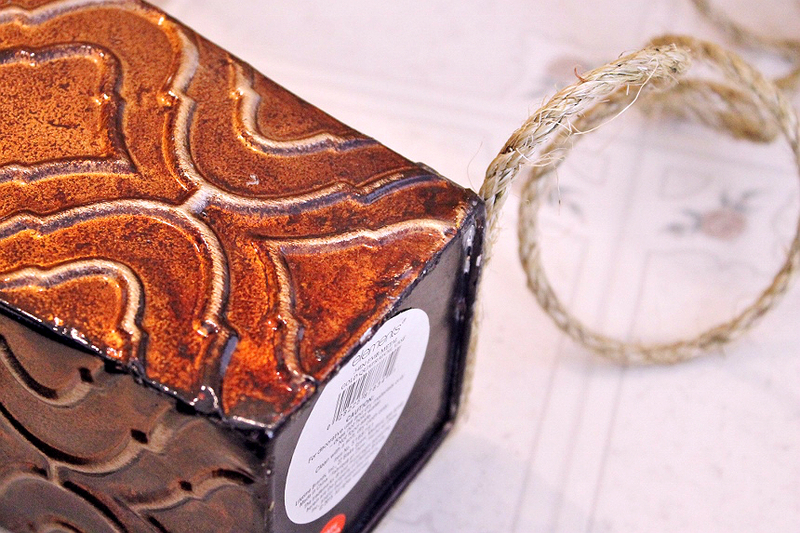 what a creative upcycling project! Now I wish I had a cat so I could make one myself! 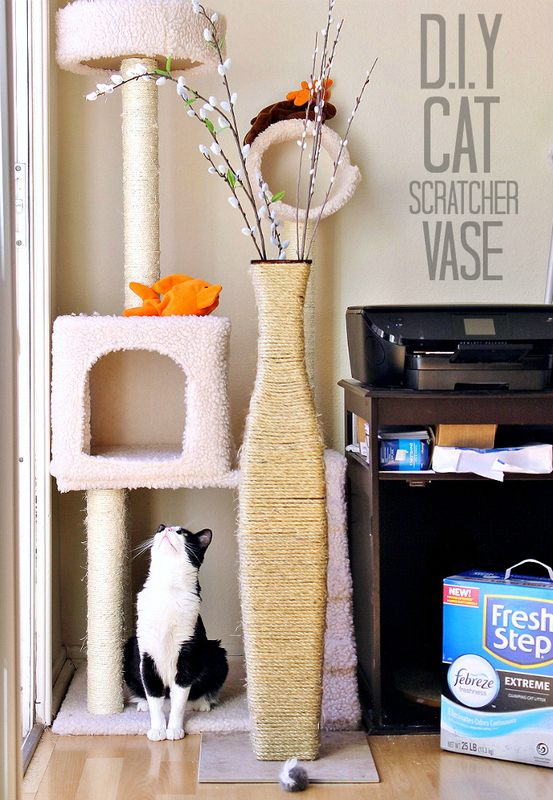 What a great idea for a cat scratcher. We have a funny cat who I swear thinks he is a dog, greeting people at the door and making funny howling sounds. What a neat cat scratcher to add to the house. No cats here, but I'd love one in my house just for the rustic feel. That is an amazing cat scratcher!! 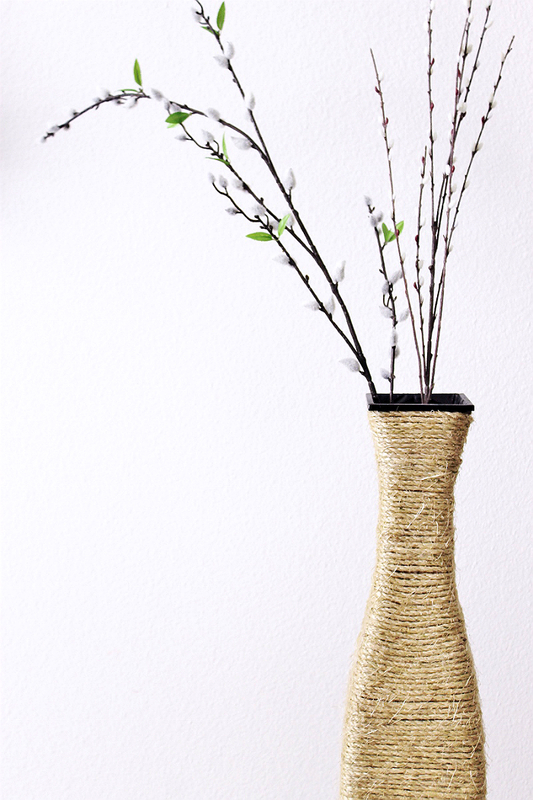 It looks better then ones in the store, what a great way to upcycle as well! 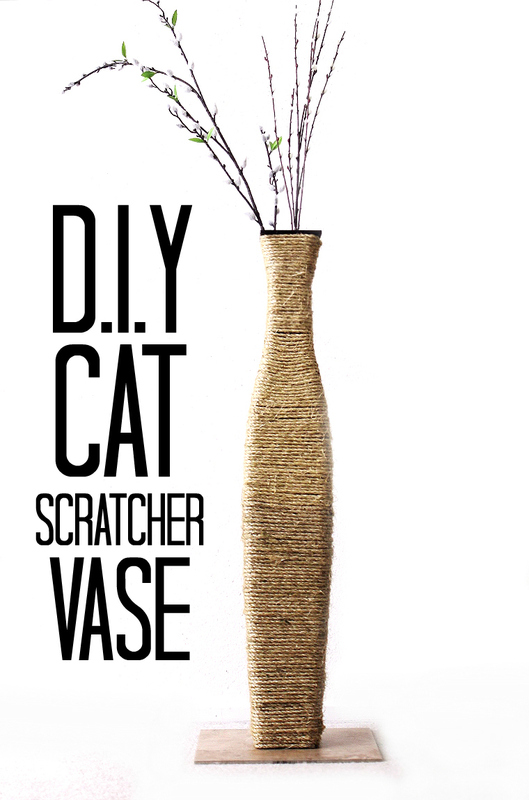 I love the idea of a cat scratch vase. It's stylish and the cats won't scratch the furniture. Such a clever idea! Wow! I also have a tuxedo cat. They are so frisky and wild! If you've got cats, you need to give them something to sharpen their claws on or you're going to end up with shredded furniture! This is a nice way to address the problem without having to put an ugly post in your house! We all are aware that Cat and Cats can move and move rather swiftly. We know that they are considered cunning and great hunters, but what most of us do not know is why are they can move so easily.